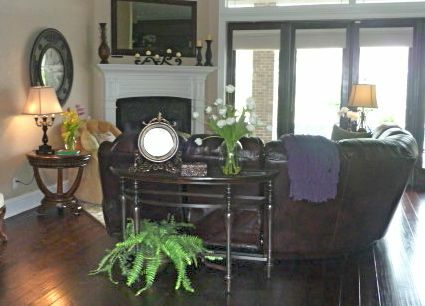 This room lacked in the color department and needed a little rearranging to balance it out. 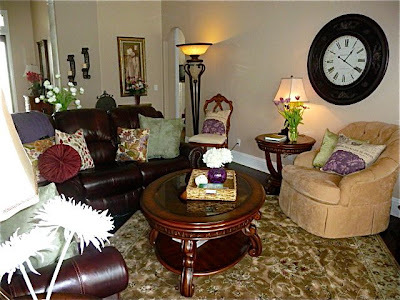 The living room redesign began by clearing the room to get a better idea of the lay of the room. 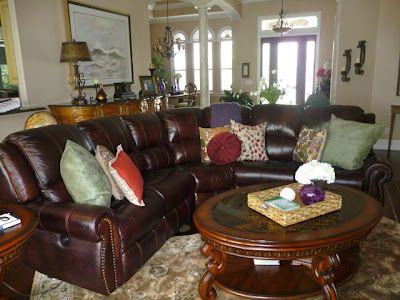 Being the largest piece, the sofa was placed at an arc in front of the fireplace/TV. 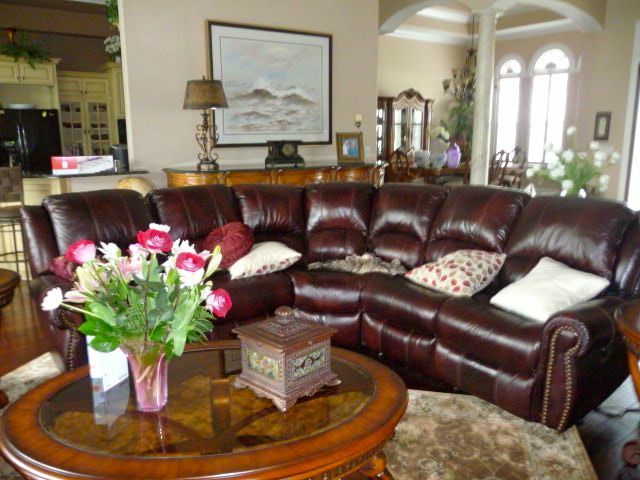 Moving the club chair to the left of the fireplace opened up the space in front of the French doors. 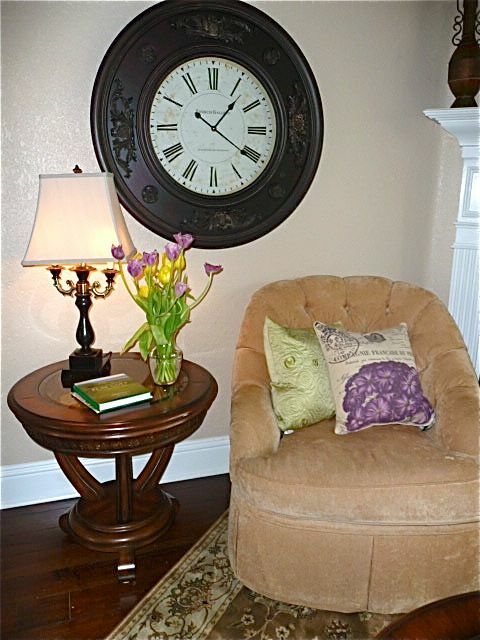 Adding a table and lamp, a reading nook was created under the clock which needed a purpose to make it look intended. This is a very long wall which needed a little more than a clock so a chair from the dining room was brought in for additional seating placed next to the very large beautiful lamp. Eventually a bookcase may replace the chair and lamp but using what we already had worked. A colorful throw draping across the back of a sofa always looks good from both the front and the back. 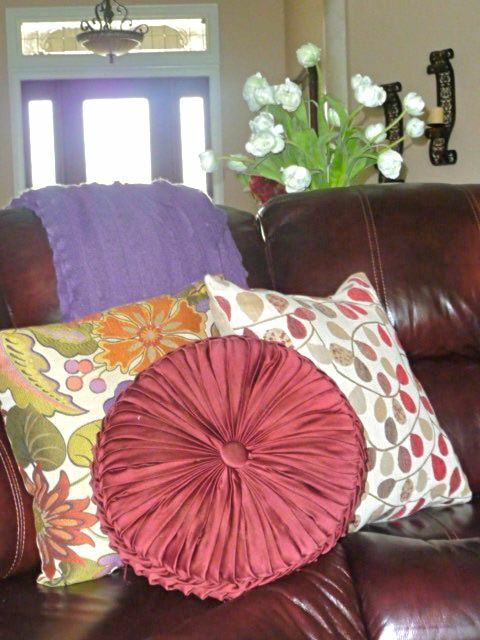 MORE PILLOWS AND A THROW! 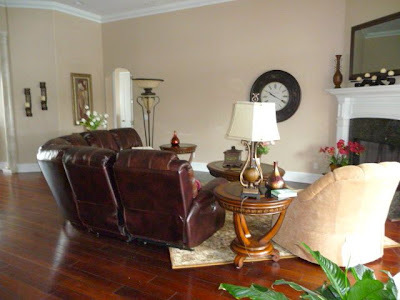 A table behind the sofa gives it a finished look. 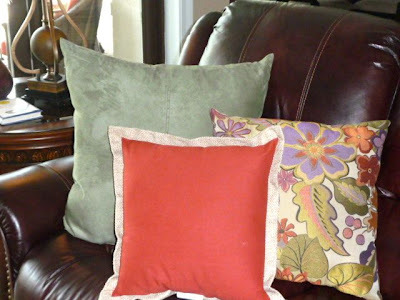 After - using a palate of fun bright-colored pillows changed the room instantly...starting with "color of the year" - orange which works so well with most any color. 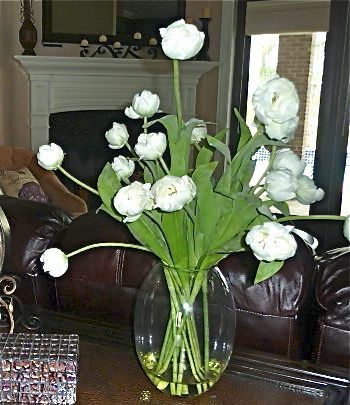 A room just isn't complete without a reading nook....a comfortable chair, a lamp and a table with some favorite books and fresh flowers such as these beautiful tulips.